We had a birthday lunch for my nephew Chris at Le Cheval in Walnut Creek. 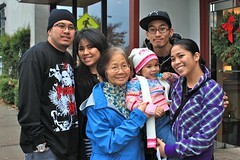 Afterwards, me and my Mom went to the Concord Seafood City to see how it compares to the Vallejo one. It actually seems smaller. 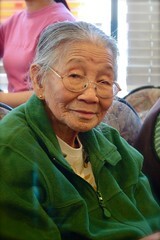 Today was my Lola’s (Grandma in Tagalog) 97th birthday. 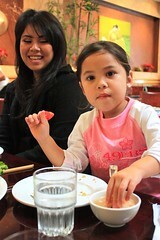 We celebrated by going to Empire Buffet for lunch. Lola is still going strong and as spunky as ever. 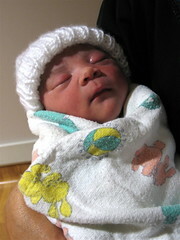 We have a new addition to our family… On Friday, my niece Cathy gave birth to my new great niece Mahliyah Belle. She is so cute!… and my niece was so exhausted from the labor.